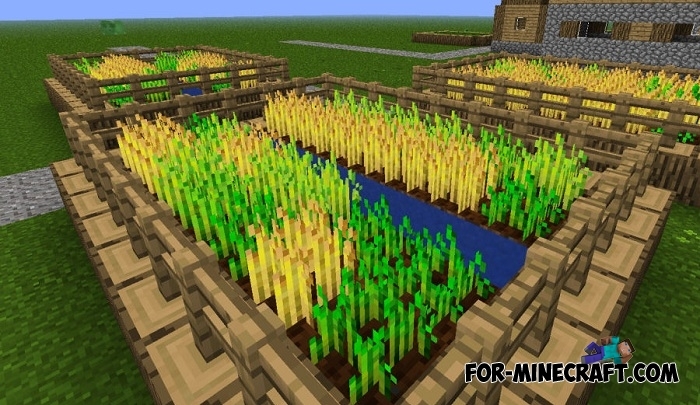 Default Style Advanced is the modified block textures primarily designed for construction. 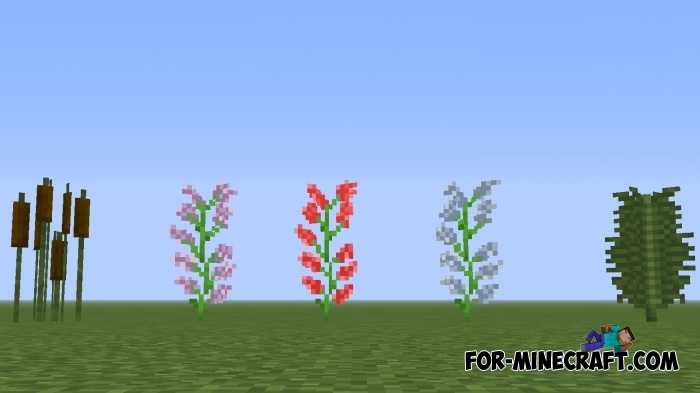 It may seem at first glance that this is a slightly updated texture pack but it is not. 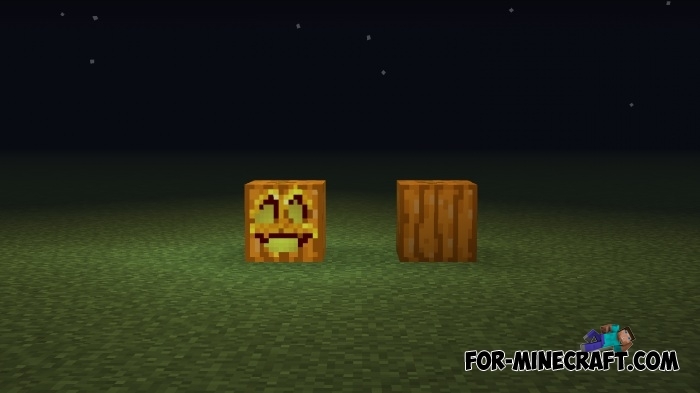 Default Style Advanced creator made a lot of efforts to ensure that the blocks and some objects looked much better than vanilla pack. 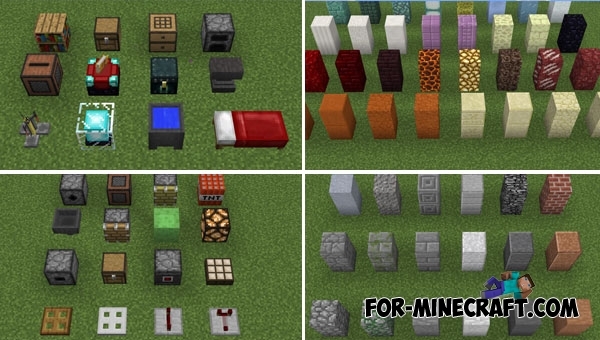 Florretardada managed to port this pack to Minecraft PE and now anyone can enjoy the more correct appearance of objects if the standard textures are disgusting to you. 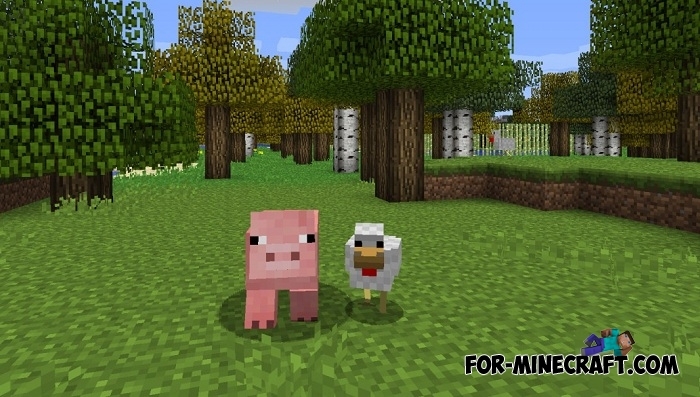 Added new blocks taken from the latest version of MCPE. 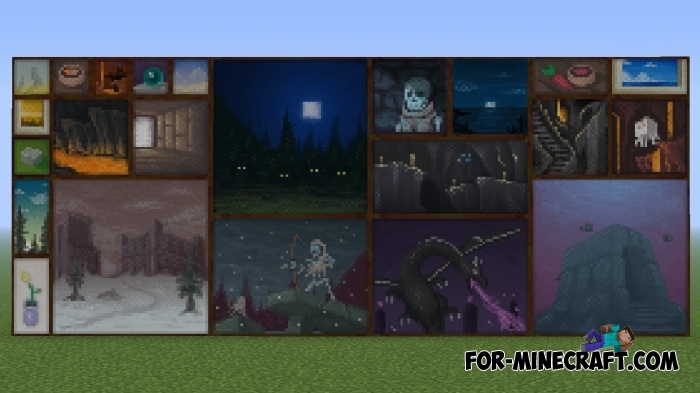 Crafting table and flowers have been updated. As you can see in the screenshots, the blocks have been redesigned and at the normal resolution they differ in beautiful saturation. 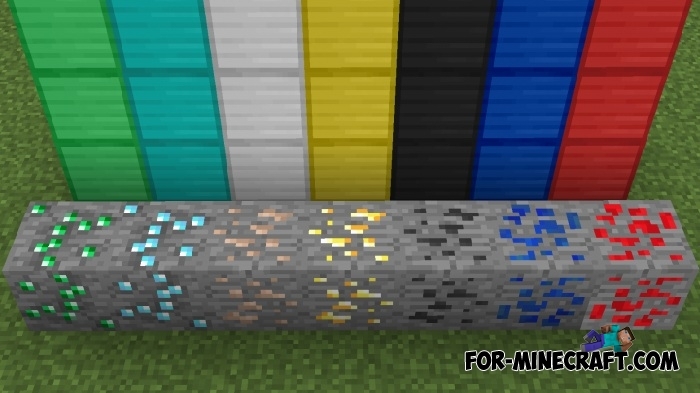 Items and potions in the game have remained the same, so if you want to change all the textures then select another pack here - Textures for Minecraft PE.